Sophie Carleton was selected for the Cutler Scholars Program to represent Meigs and Vinton Counties. 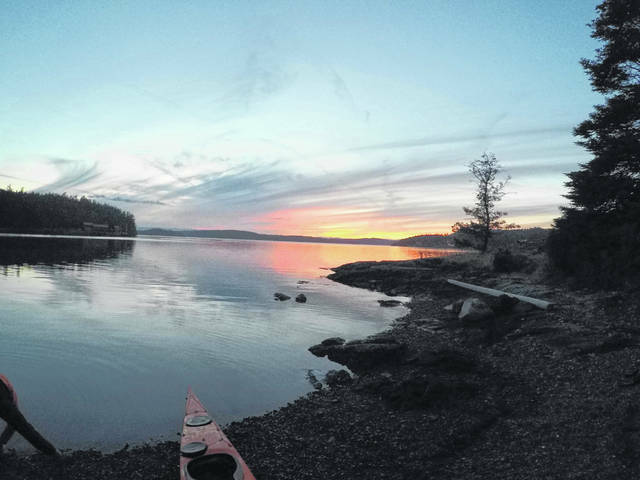 As part of the Cutler Scholars Program, Carleton recently took part in a seven day kayaking trip in Washington. As part of the trip the group camped in tents which were made from tarps. One of the views experienced as part of the trip. 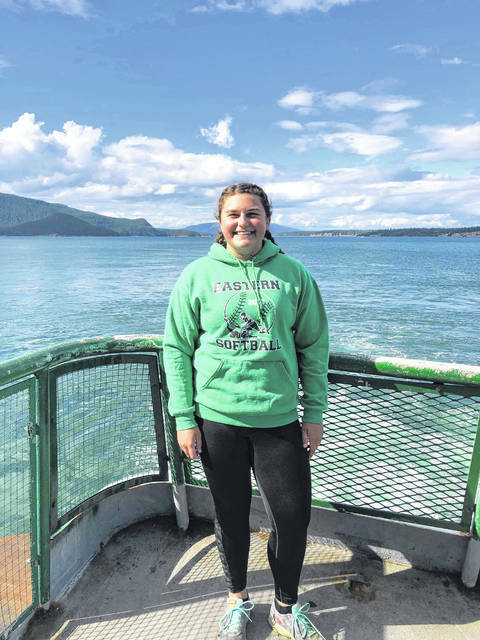 TUPPERS PLAINS — With the start of her first year at Ohio University a few weeks away, recent Eastern High School graduate Sophie Carleton has already begun her college experience. Carleton was selected as the James H. and Nelly Rowley Jewell Cutler Scholar for the Meigs and Vinton County areas from the Class of 2018 and recently took part in her first summer experience through the program. The Cutler Scholars Program is one of Ohio University’s premier scholarship programs, providing financial support, mentorship, and experiential learning opportunities to students who demonstrate the potential to be change-makers and advocates for justice. The program selects students based on their intellectual curiosity, leadership capability, civic engagement and character. During the four-year scholarship program, Cutler Scholars live together, participate in a weekly colloquium, and take part in four enrichment experiences, including an outdoor leadership experience, public service internship, international experience, and career-related internship. In addition, students receive a significant academic scholarship and annual stipend to support their enrichment experiences. Carleton said she learned of the program from Julie Spaun and looked into how to apply. The application process for the program included writing five essays, followed by an interview. She was up against two students from Meigs High School to be the Meigs and Vinton recipient for this year. 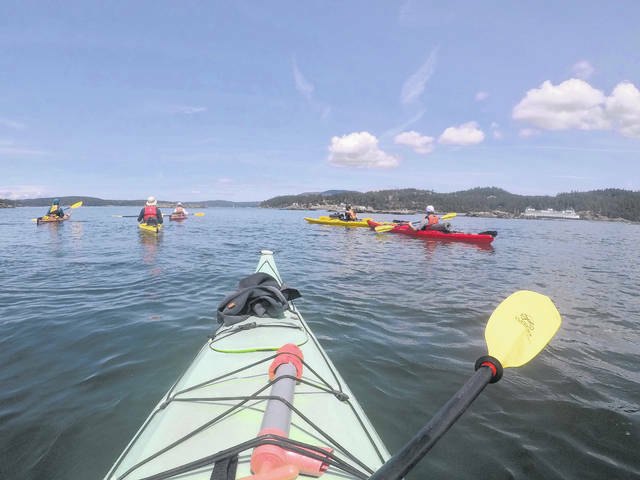 As part of the Cutler Scholars program, Carleton recently spent seven days kayaking in the San Juan Islands area of Washington, her first of four summer experiences. “I’m glad I did it,” said Carleton of the trip, although she admitted it would not be something she would want to do again. 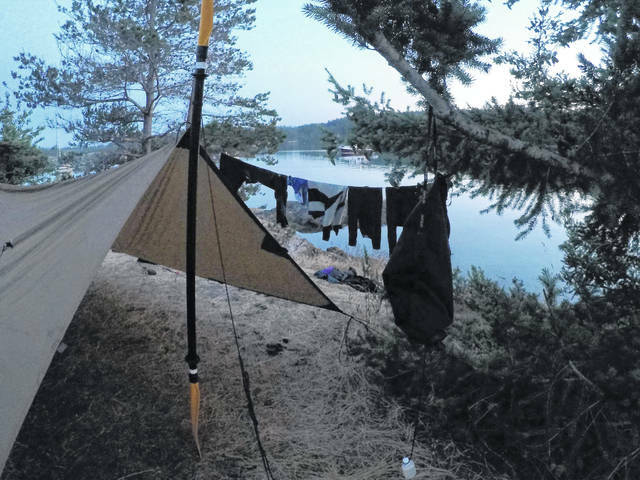 The group of students, Carleton and 10 others, spent seven days camping and kayaking. Camping, described Carleton, included sleeping on the ground under tarps. There were five girls in her “tent” and five boys in the other. Her first time on the west coast, Carleton said the she saw eagles, seals and a pod of orc whales. As for future summer experiences, Carleton explained that the experiences are matched to the student’s major and what best matches interests. Planning those trips is part of the program throughout the year. Asked what she is most excited about as part of the Cutler Scholars Program, Carleton said it is that the program provides the opportunity for a small group of pre-made friends as they will be in the dorms together and in programs and classes. Students in the program live in the dorms for the first two years, and then receive money toward an apartment in the final two years. Carleton sees adversity as the best form of education, providing her with the strength to persevere through challenging times. While she has attended the University of Rio Grande almost full time since her junior year of high school, Carleton continues to actively contribute to her high school through her work in student government. Although invested in her role as secretary of her class, Carleton holds community service close to her heart. With help from her family, she makes “sunshine bags” for patients going through chemotherapy. Filled with comforting and cheerful goodies, she says “The slightest ray of sunshine can brighten someone’s day.” From yellow gum, to yellow post-it notes, to hand-sewn neck pillows, Carleton brought some light into Marietta Memorial Hospital. The Cutler Scholars Program began in the mid-1990s as a discussion between alumnus Wilfred R. Konneker and Jack G. Ellis, at that time the University’s vice president for development, about recruiting high-achieving students to Ohio University. Soon after, then-Ohio University President Charles J. Ping joined their discussions, which progressed into the creation of the Cutler Scholars Program, named for the Rev. Manasseh Cutler, co-founder of Ohio University. Students received the first Cutler Scholar awards in the 1996-97 academic year. Carleton, of Tuppers Plains, is the daughter of Jason and the late Sarah Carleton. She also has a younger sister, Ella. She is majoring in communication sciences to go into the field of speech pathology. A portion of the information from the Ohio University Cutler Scholars website. https://www.mydailytribune.com/wp-content/uploads/sites/42/2018/07/web1_7.29-Carleton-1_ne2018727171034224.jpgSophie Carleton was selected for the Cutler Scholars Program to represent Meigs and Vinton Counties. https://www.mydailytribune.com/wp-content/uploads/sites/42/2018/07/web1_7.29-Carleton-2_ne2018727171038934.jpgAs part of the Cutler Scholars Program, Carleton recently took part in a seven day kayaking trip in Washington. https://www.mydailytribune.com/wp-content/uploads/sites/42/2018/07/web1_7.29-Carleton-3_ne2018727171043171.jpgAs part of the trip the group camped in tents which were made from tarps. https://www.mydailytribune.com/wp-content/uploads/sites/42/2018/07/web1_7.29-Carleton-4_ne2018727171047685.jpgOne of the views experienced as part of the trip.